Here you can learn about the maritime history of Britain. There are lots of displays on 3 different floors. You can go inside some of the exhibits. Many displays are interactive (using video) and have touch screens. You can also find out more about the history of the Museum. The National Maritime Museum is very big and it can take a few hours to get around all of it. There is also a Learning Centre, public telephone, shop and cafe. Sometimes the Museum has activities and events, like art exhibitions, poetry readings or workshops. The Museum runs touch talks and tours and BSL (British Sign Language) Signed events. Call the Bookings Unit for more information on 020 8312 6608, or email bookings@nmm.ac.uk. They have information in large-print, Braille and audiotape. The latest you can come in is 4.30 pm. £ - Getting in is FREE! If you want to visit the Museum as a school group, and your school is in London, you can apply for free transport. To find out more visit www.tfl.gov.uk. The Maritime Museum is a well-known local landmark. There are a small number of disabled parking spaces in the car park. You need to book a space 24 hours before your visit. Call the Bookings Unit 020 8312 6608. The entrance to the car park is just off Park Row. There are also disabled parking spaces on the road outside the Royal Observatory Greenwich. There is a transport service called the Road Train that runs between the National Maritime Museum and the Royal Observatory. The Road Train has space for one wheelchair and is fully accessible. If you plan to use the Road Train, you should call up to check that it is running, on 020 8858 4422. 53, 188, 199, 202 and 286 have low floor access and can take wheelchairs. (Jubliee Line) - Grenwich underground station is about 750 metres from the Museum. Greenwich underground station is accessible for people using wheelchairs. (DLR) - Cutty Sark station is about 750 metres from the Museum. Cutty Sark station is accessible for people using wheelchairs. Greenwich main line train station is about 750 meters from the Museum. Greenwich main line train station is accessible for people using a wheelchair. To find out more call National Rail enquires on 08457 484 950. The accessible entrance is well sign-posted. 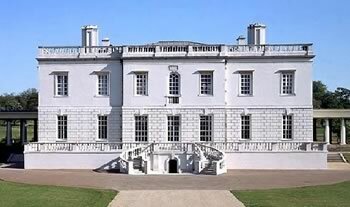 The Museum and the Queen's House are both fully accessible. This is where you come into the Museum. You will find the information centre, accessible toilets and baby change, shop, lifts and stairs here. Find out about early sea exploration, the types of clothing worn by sailors and the great age of passenger travel. Learn about the oceans around the world, visit the Caird Library or the free E-Library. See stained glass from the Baltic Exchange dating back to 1744. Learn about Britains trade empires and Nelsons navy. You could also visit the Art at Sea gallery. There is also an accessible toilet on this floor, the Upper Deck coffee bar and the Regatta cafe. Disabled toilets are available on floors 1 and 2. They are well signposted. The toilets are not kept locked. You can borrow a manual wheelchair from the Information Desk. Call 020 8312 6608 if you want to book one. The museum welcomes all assistance dogs.